The design of the OnePlus 2 largely coincides with the leaked pictures released earlier this week. The OnePlus 2 will indeed come with a metallic bezel and a flat back. The camera has been moved closer to the center of the phone for easy shooting in landscape mode, and the stock back cover will still feature the beloved soft-touch sandstone finish. Rather than a raised home button, the home button is now depressed into the phone. There’s also a mysterious button on the left side which serves as a “notification slider” that cycles between different notification modes (silent, normal, etc). As expected, the OnePlus 2 will be built with the latest and greatest technologies on the market today. At its heart is the Qualcomm Snapdragon 810 V2.1 SoC, up to 4GB of LPDDR4 RAM, and up to 64GB of internal storage. Newly added (and much welcomed) features include dual-sim support, a fingerprint sensor, optical image stabilization, dual-LED flash, laser autofocus, and a 3300mAh battery. Unfortunately, OnePlus did skimp out with the screen as its 5.5″ IPS display carrying a resolution of just 1080p. It has been hypothesized that this was a trade off made for better power efficiency, but it’s still unconfirmed at this time. Finally, the thing that made OnePlus’ previous flagship such a hit – its price. 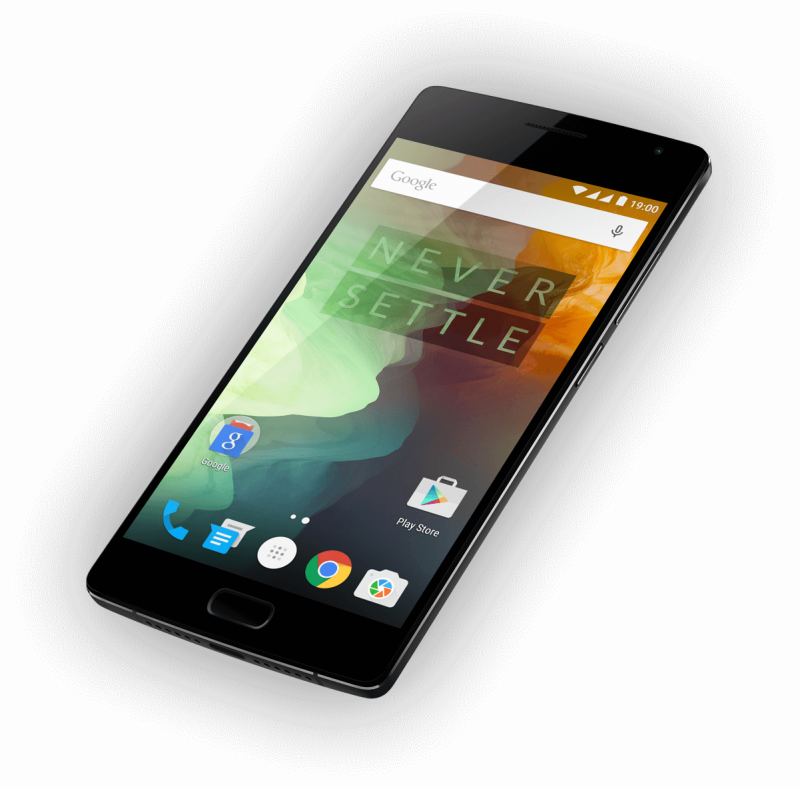 OnePlus’ CEO, Peter Lau, revealed the price of the OnePlus 2 to be $328 USD for the 16GB model and $389 USD for the 64GB model. This undercuts the Samsung Galaxy S6 32GB by nearly $200 and the iPhone 6 16GB by more than $300. OnePlus expects the OnePlus 2 to be launched on August 11. Those who want to be one of the first to purchase the phone will need an invite, so be sure to check out the OnePlus website for more details on how to get one!